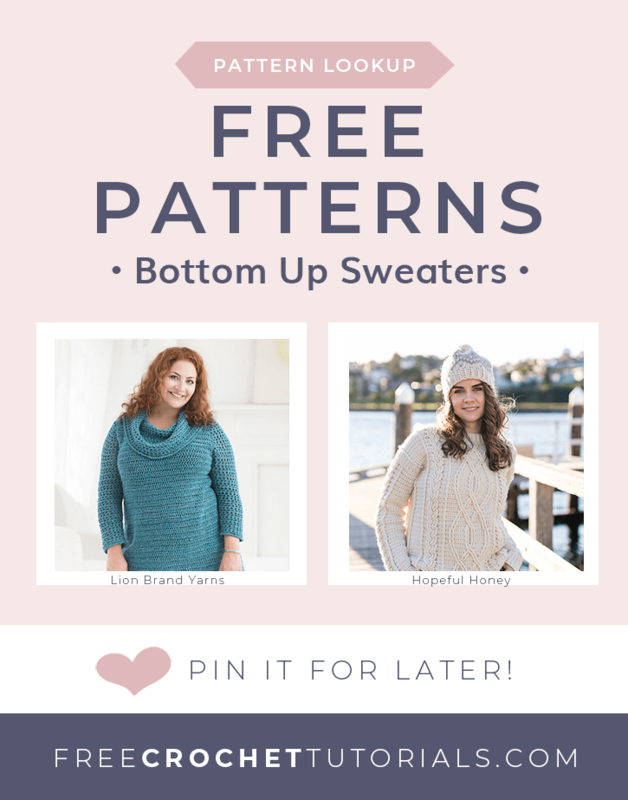 This post includes links to free bottom up sweater patterns that are crocheted in rows. These sweaters are available in a range of sizes from Adult Small to Adult 5X. Pattern Requested: Sweaters crocheted from the bottom-up that are not worked in rounds. To the best of my knowledge each of these designs are original patterns by these Designers; or they have been used with the original Designer’s express permission. SUBMIT YOUR PATTERN LOOK-UP REQUEST RIGHT HERE! IT’S FREE! Crocheted in medium weight yarn  and with a 3.75 mm (F) this lovely striped sweater is available in sizes: Small, Medium, Large, 1X, 2X. Make this super pretty sweater with medium weight yarn and a 6 mm (J) crochet hook. This pattern is available in sizes XL, 2X, 3X, 4X. 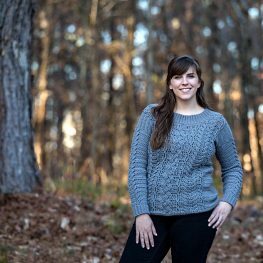 This lovely cabled sweater design is available in women's sizes XS - 3XL. You will need DK Weight Yarn and a 5 mm (H) crochet hook. Crochet this pretty roll neck sweater with medium weight yarn  and a 8 mm (L) crochet hook. It is available in women's sizes XS/S, M/L, XL/XXL. 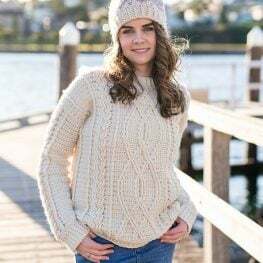 This gorgeous cabled sweater design is available in adult sizes XS/S, M/L, XL/XXL. Olivia includes a tutorial within her post. Worked from the bottom-up and in rows, the Brighton Sweater is available in sizes 30 (32, 34, 36, 38, 40, 42, 44, 46). This sweater is worked from the bottom-up and is available in sizes XS, S, M, L, XL, 2X, 3X, 4X, 5X. Available in sizes: Adult Woman Extra Small. (Sizes Small, Medium, Large, 1X, 2X, 3X, 4X). You will need Sport Weight Yarn and a 4.5 mm hook. Available in sizes: 30 (32, 34, 36, 38, 40, 42, 44, 46). You will need DK Weight Yarn and a 4.00 mm hook.